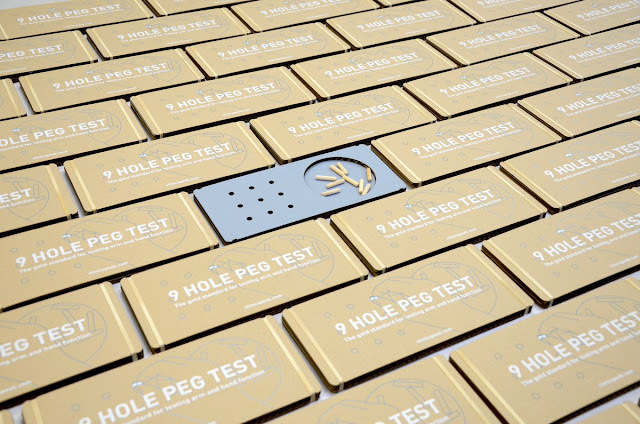 Last night the cardboard 9 Hole Peg Test won “Innovation of the year” at the Barts Health Innovation Awards! We’re obviously not working in this area to win awards, but a little recognition now and again is no bad thing. The judges agreed that this is innovative as it is not only environmentally friendly and much cheaper than the plastic version, but innovative in how we are using it to raise awareness about the importance of upper limb function within the #ThinkHand campaign. We’re in the process of setting up a distribution service so people can order their own test and we will let you know as soon as this is up and running. 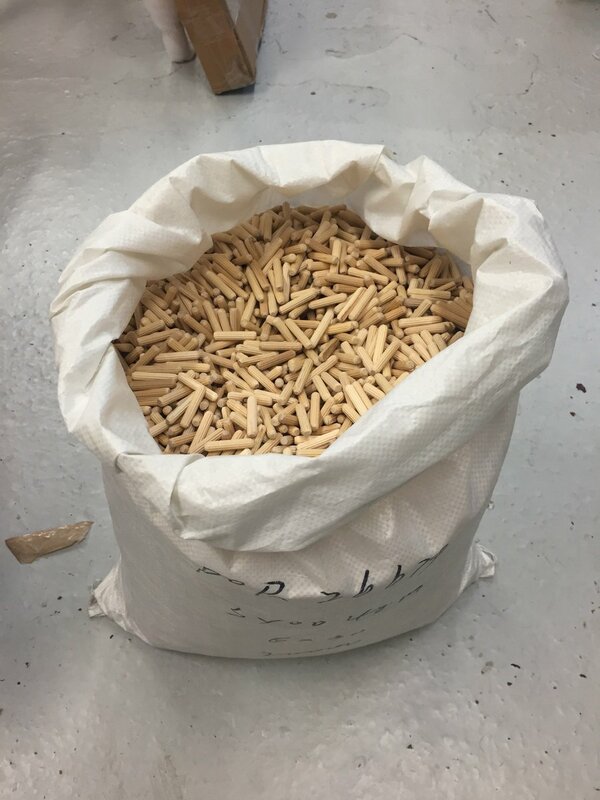 I’d like to take this opportunity to say thank you to Biogen for funding the project, to Angelika Bauer and her team at ECTRIMS and MS Life and also The Agency of Design for their magnificent manufacturing skills. Lazer cutting 2000 test ready for distribution at ECTRIMS and MS Life in September. Many many man hours assembling the tests in a workshop. The final product ready to go! Hurrah! I will be ordering one as soon as it is available. The plastic ones are an outrageous price for what they are. Wahey, well done Alison and Team G!! More good news. Well done!